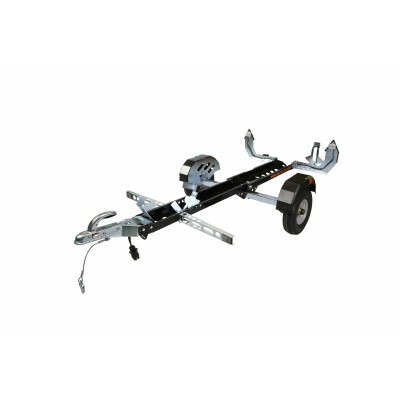 Our most versatile trailer - can be configured as a twin trailer to carry two bikes, or as a single trailer when you only need to tow one bike. 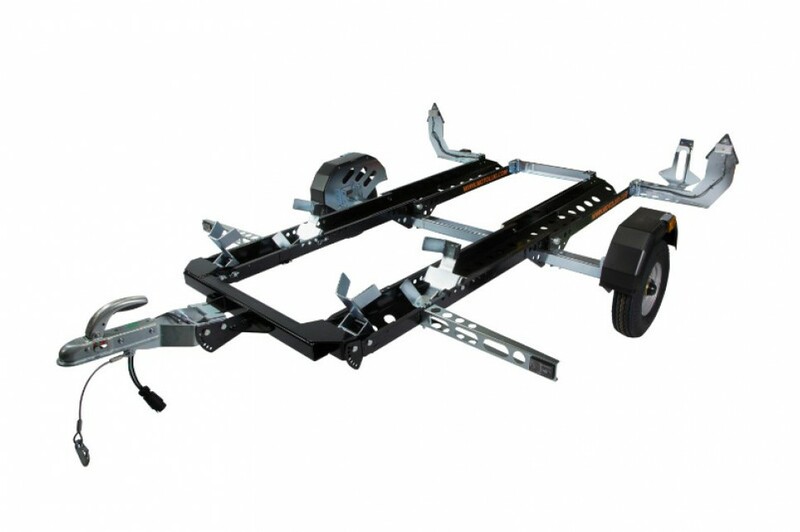 No need for two separate trailers with this modular design - you can either configure this versatile trailer as a twin trailer to carry two bikes or as a single trailer when you only need to transport with one bike. 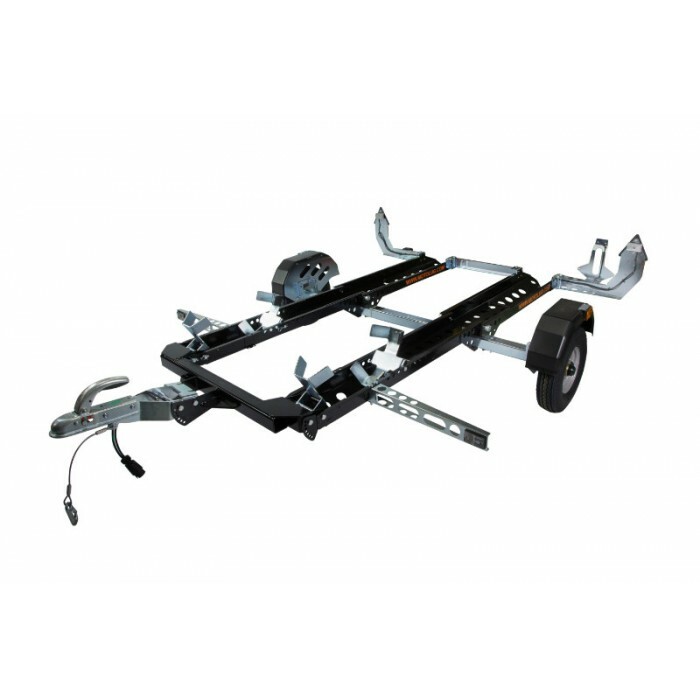 As a twin trailer you have a carrying capacity of 560kg's and 350kg's when assembled as a single trailer and yet you still have the advantage of the trailer being easily collapsible for storage. 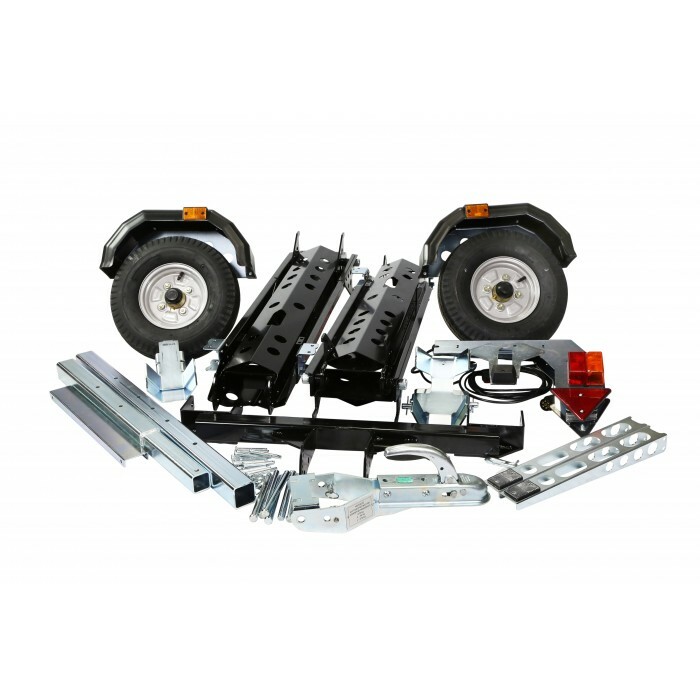 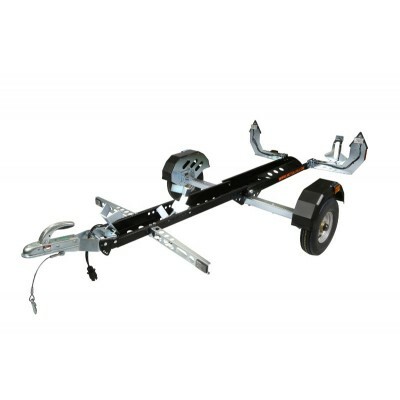 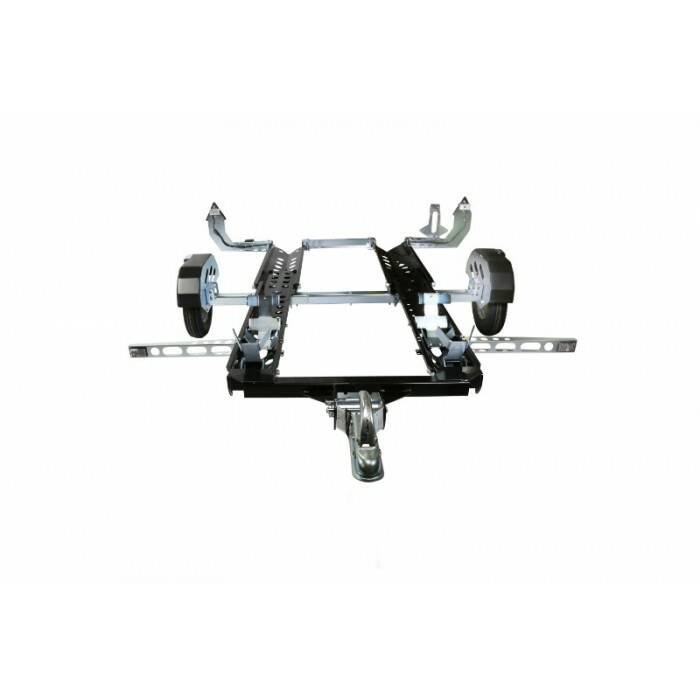 With the trailer assembled and the hitch arrangement attached to your vehicle the entire trailer can be tilted towards the ground in order for you to load your bikes directly onto the trailer without the need for an additional ramp. 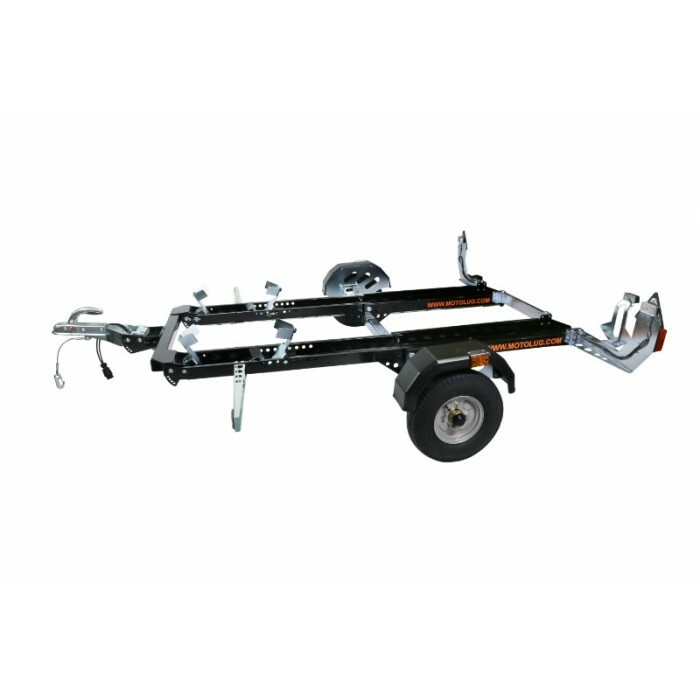 The loading systems located at the front of the trailer beams are adjustable depending on the size of your tyres and will hold your bikes in place in order for you to strap the bikes down prior to travelling. 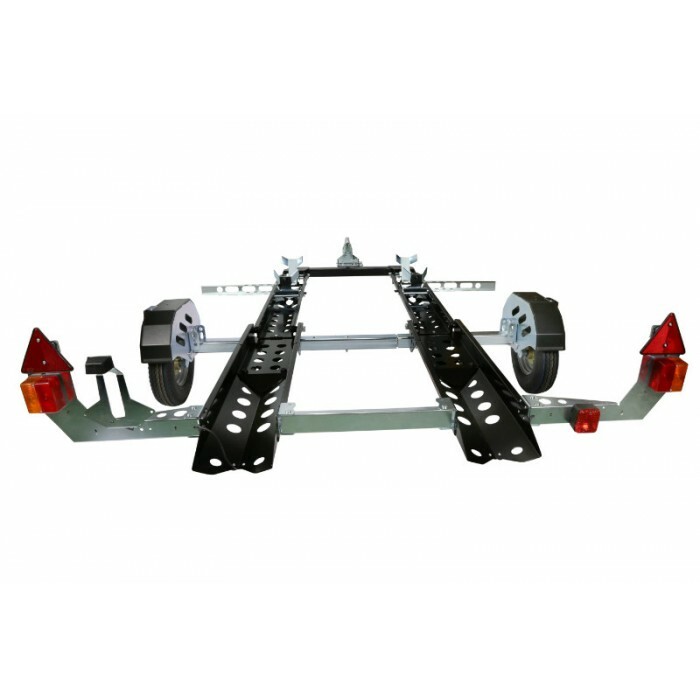 Designed and manufactured in the UK, all Motolug TE trailers carry statutory plates stating their own unique VIN number and have EC Whole Vehicle Type Approval which certifies the homologation of the vehicle in accordance with Directive 2007/46/EC. 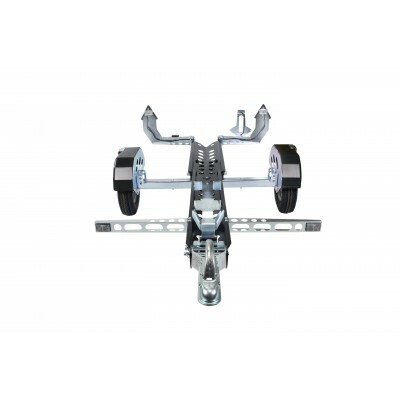 Depending on your requirements, all trailers are supplied with either a UK or EU version of the certified lighting system which is wired to a 7 pin plug.